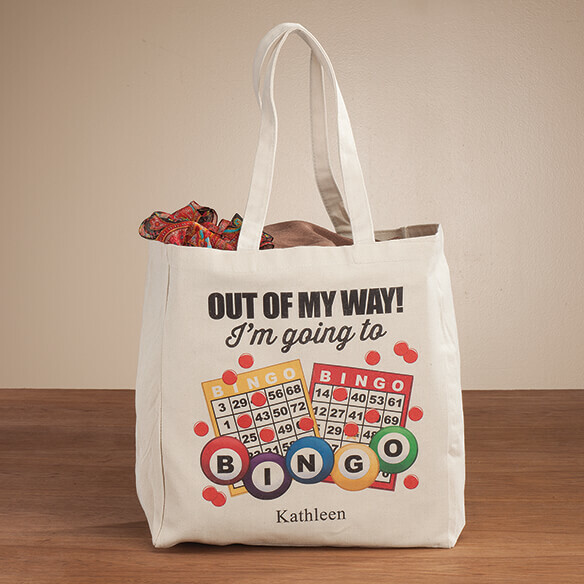 Display your favorite pastime with this fun Personalized I'm Going to Bingo Tote! Vivid design with cards and tokens reads "Out of my way! 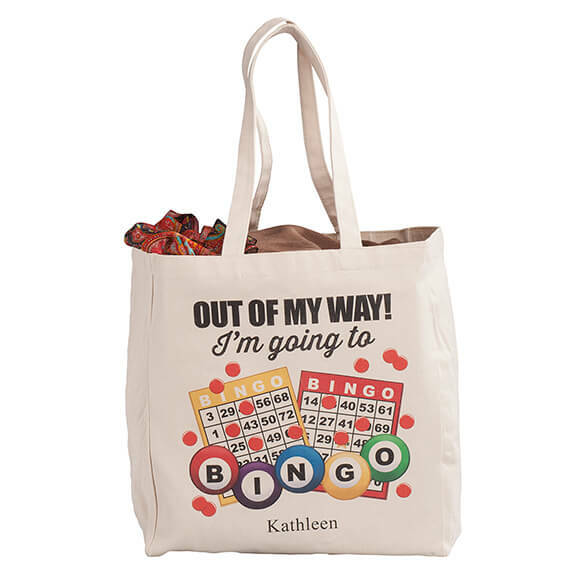 I'm going to bingo." 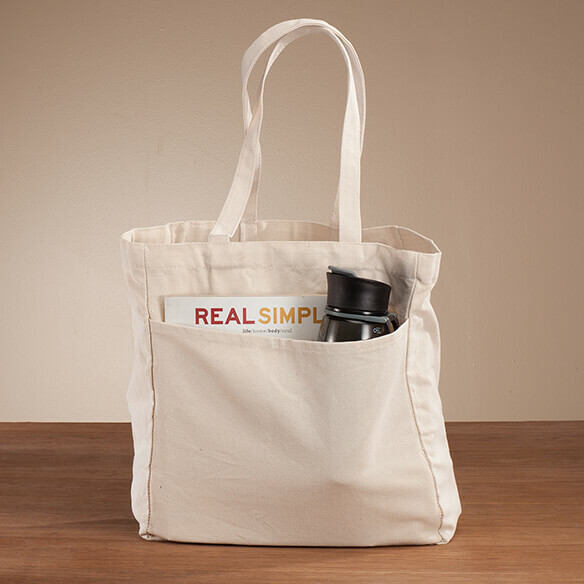 This Bingo Bag features an outside pocket for easy access to smaller items and 11" drop handles for comfortable carry. Makes a great gift for any player! Specify name: 1 line, up to 15 letters/spaces. 13" wide x 13 1/2" high with 10" H outside pocket; bottom expands to 6 1/2". Durable poly/cotton. So unique and I love that it's personalized. Great value! This will be the greatest Christmas gift I give! I play Bingo a lot!